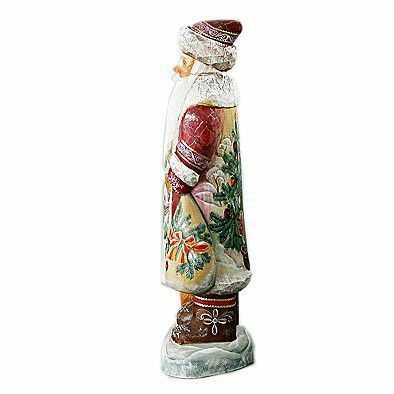 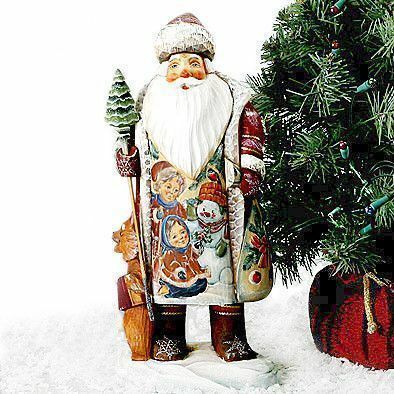 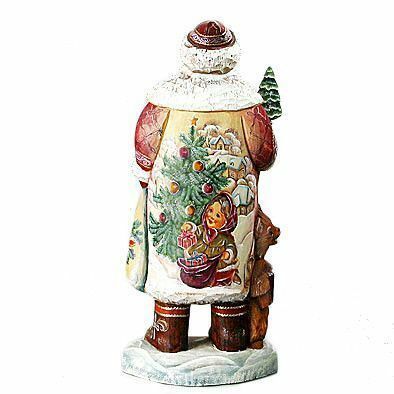 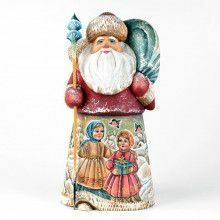 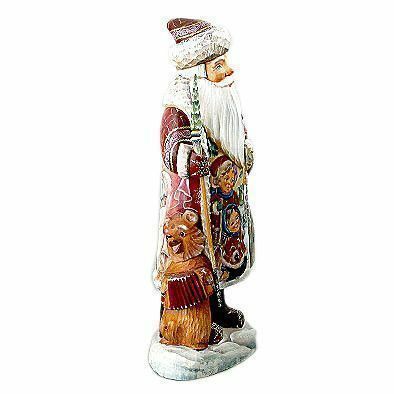 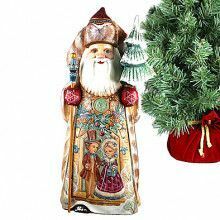 This hand-carved and hand painted wooden Santa is a staple decoration in every Russian home during the holidays. 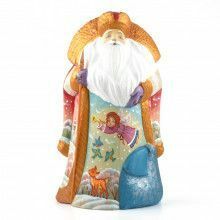 Each one is completely unique and features detailed patterns and scenes painted around its base. 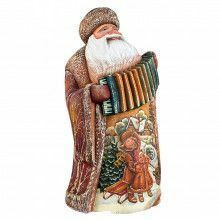 You'll love their individual charm and facial expressions. 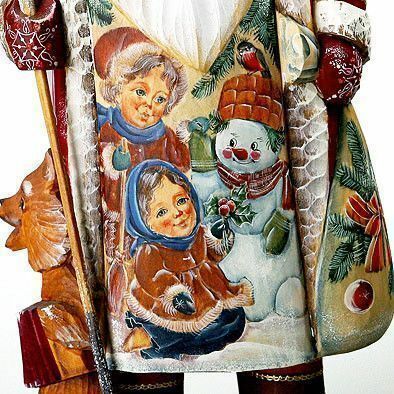 Give your loved one something different this year that they'll cherish for years to come.